North Korea has no intention of abandoning its nuclear and ballistic missile programs, said a panel of experts mandated by the UN Security Council in a report dated Feb. 24. The panel, part of one subsidiary committee of the Security Council, oversees council sanctions on North Korea. But in the report, the panel highlighted that “there are serious questions about the efficacy of the current United Nations sanctions regime.” Given North Korea’s intentions to expand its nuclear and missile programs, enforcing sanctions designed to prevent Pyongyang from obtaining the materials and technologies necessary is paramount. The most recent Security Council resolution, however, addresses deficiencies in the sanctions regime by providing states with new tools and expanded authority to better enforce nonproliferation measures. If properly implemented, this resolution could help curb North Korea’s access to dual-use materials and technologies. The council has adopted five resolutions on North Korean nonproliferation since 2006. Past UN resolutions have included sanctions that aim to stem North Korean proliferation by limiting Pyongyang’s access to financial markets, instituting arms embargoes, and prohibiting the sale of sensitive goods to North Korea that could be diverted for its nuclear and ballistic missile programs. These sanctions, however, have not prevented North Korea from “gradually improving and expanding” its capabilities, according to the UN panel. States have attempted, with varying degress of success, to enforce the resolutions adopted between 2006 and 2013. The panel also noted in its report several instances of seizure of illicit cargo and successful implementation of the arms embargo on North Korea. Resolution 2270 which was unanimously adopted by the council on March 2, 2016, goes above and beyond previous resolutions, and introduces a number of new demands and sanctions that have the potential to successfully curb Pyongyang’s proliferation. The resolution builds upon interdiction authority of prior resolutions in an effort to combat North Korea’s tactic of using front companies and disguising the origin of its vessels to avoid international scrutiny including cargo inspections. Enhanced interdiction authority afforded by Resolution 2270 enables states to better counter North Korea’s proliferation activities. Under the resolution, states must prohibit entry into port of any vessel owned, operated by, or brokered on behalf of North Korea if the state has grounds to believe it is involved with proliferation activities or if it is operated by a sanctioned entity. The exceptions to the ban on port entry include instances of inspection for illicit goods prohibited by any UN resolution, emergency, and humanitarian purposes. Resolution 2270 has already had an impact since it was adopted last week. 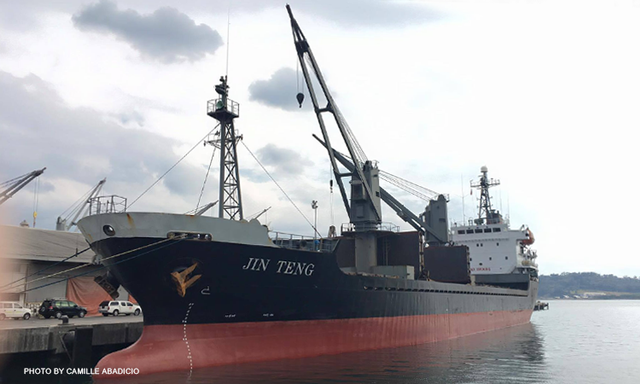 The Philippines plans to impound the North Korean ship Jin Teng, one of 31 vessels listed in an annex of the new resolution as being owned by a sanctioned entity. The ship arrived at port on March 3, after the resolution was adopted, according to an Associated Press report. Under the resolution, because the ship is documented as controlled by the known proliferating firm, the Philippines is required to inspect the ship and its cargo. The Philippines announced plans to repatriate the North Korean crew, another requirement of Resolution 2270. China, too, has enforced the new UN measures by barring another North Korean ship listed in the annex, Grand Karo, from docking in its port, according to a Reuters report. This action is noteworthy for several reasons. First, it signals to North Korea, the United Nations, and the broader international community, that states are taking seriously both the challenge to international peace and security posed by North Korea and the value of these sanctions imposed in order to curb the threat. Second, by actually taking action to impound vessels, inspect cargo, and repatriate the North Korean crew as required by Resolution 2270, states stand a chance of tangibly preventing proliferation by seizing its necessary resources. This early momentum in sanctions implementation must be sustained; sanctions are of little value unless they are enforced by UN member states. The UN panel noted in its February report that North Korea’s illicit activities are “facilitated by the low level of implementation of Security Council resolutions by Member States.” North Korean leader Kim Jong Un has repeatedly stated his country’s commitment to improving its nuclear capability in both “quantity and quality.” One way to prevent this progress today is to prevent the flow of cash, goods, and technical knowledge to North Korea by enforcing the extant Security Council resolutions.